On trawling through Facebook this morning, I saw that Emily from Shieh Design Studio flagged up a very cute little programme called Wordle. You put in a your blog or website address and it comes up with the words most frequently used, in a cool graphic format. 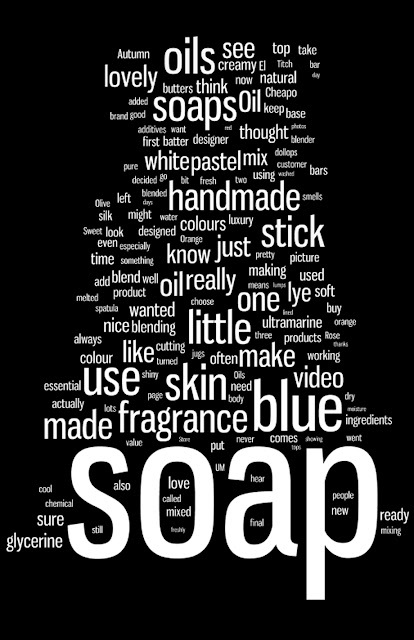 I tried it with my blog too, only I've been posting about soap in PVC pipe with my hubby, so it came up with "soap" as the main word, but there were other words in there too that just sounded dirty. LOL! Isn't it fun?! Amy, we need to see yours!